We all know that Apple’s iPhone 7 and 7 Plus are the most talked and hot topics in recent days. We have seen the craze of Apple’s new iPhone 7 lineup, we have seen Apple’s Biggest fan who sat in rain for 18 hours to buy iPhone 7. 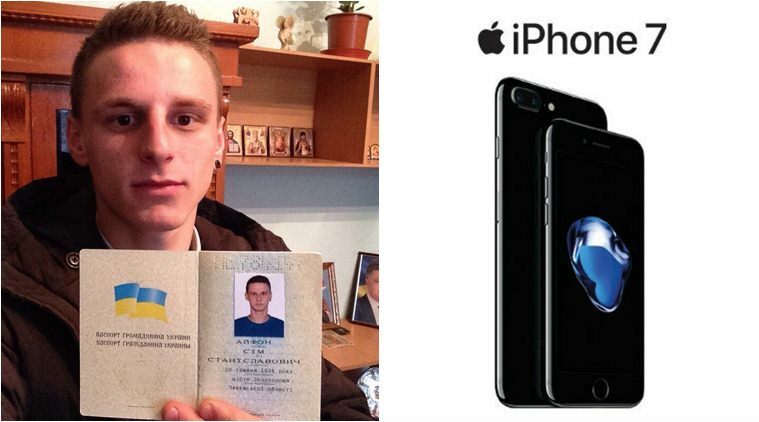 Recently, a 20-year-old Ukrainian man Olexander Turin had officially changed his name to iPhone 7. The reason which made Olexander Turin to make this thing happen is because of an electronics store that offered the latest Apple product to the first five people who change their name. She also added “Each person in this world is looking for a way to express himself. Why not do that in this way?”. So this was another story which simply shows the craze of Apple’s iPhone.